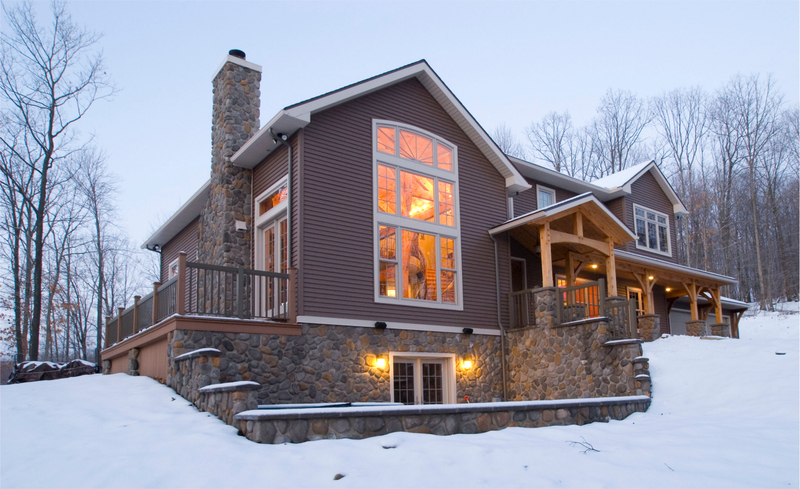 The exterior featuring stonework, large windows, and timber porch frames. The great room and lower level with stone exterior. 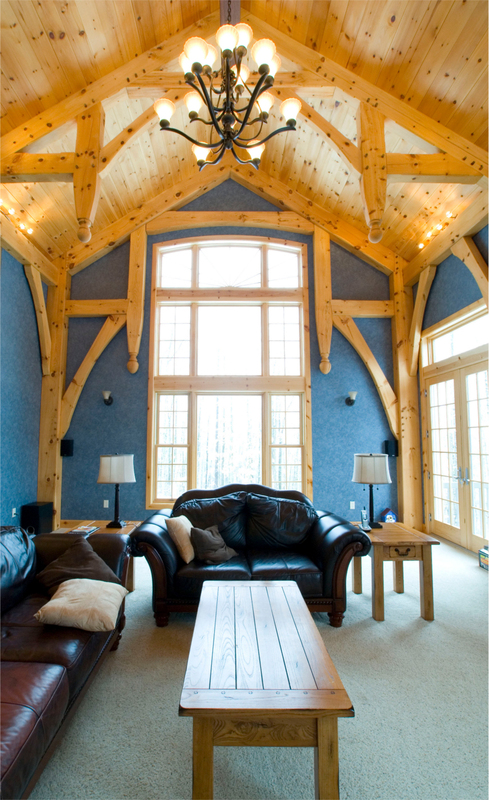 The great room with high, peaked, wood ceilings and beams, and a rustic chandelier. 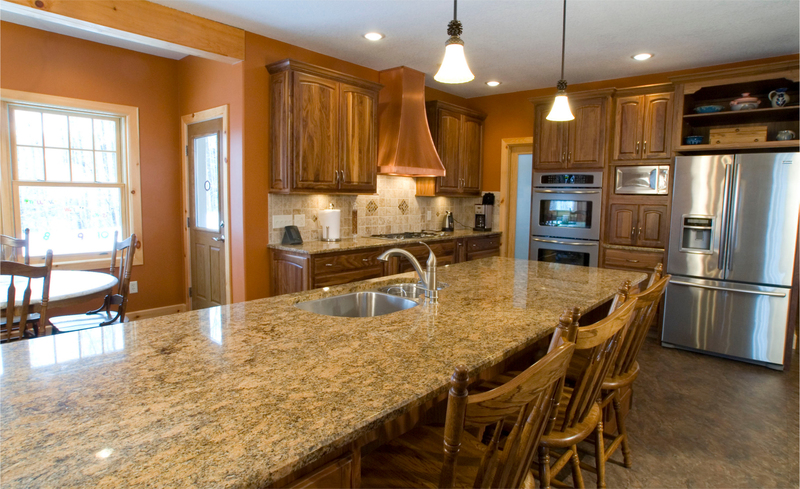 The kitchen featuring a large island with a built in sink and rustic wooden cabinetry. 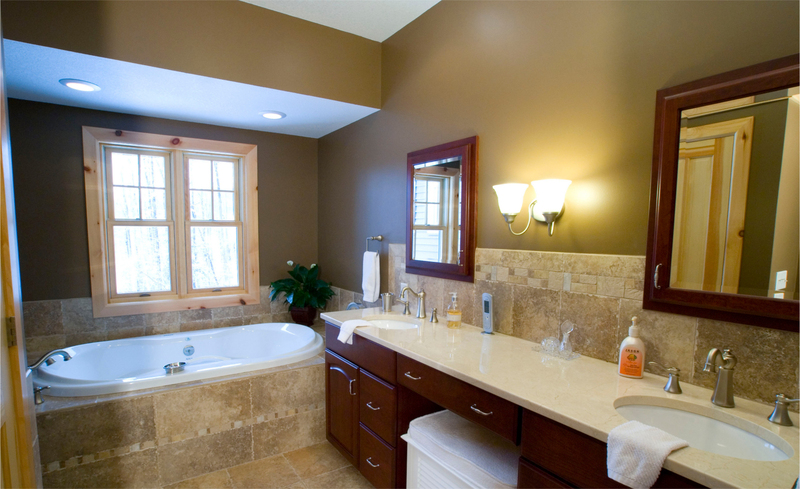 Bathroom with a recessed tub and his and hers vanities.